They say that travel broadens the mind and creates experiences that stay with you for a lifetime, so it is a positive step to open your children’s eyes to a wider world and take them on trips abroad. You will need to prepare your children for an overseas trip so that they understand all of the processes involved, such as flying to your destination, in order to allay any fears that they may have and allow them to enjoy the experience. One aspect of air travel that you may have to contend with when travelling with your children, is a delayed or cancelled flight. Download Bott & Co’s flash card to take to the airport to make sure the airline is providing you with the correct amount of food, drink and accommodation should you be delayed. Hopefully, your children won’t be kept waiting too long before they arrive on foreign soil and begin an exciting new adventure. 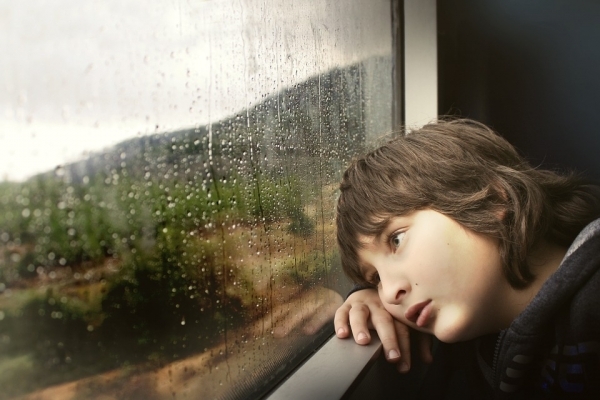 Most children can get a bit anxious if they are taken outside of their comfort zone and have to contend with travelling a long way from home, despite the fact that they may be headed somewhere they are likely to enjoy when they get there. The best way to allay these fears and help them to get the most out of the travel experience, is to get them involved at most stages of the planning, rather than just tell them where they are going shortly before departing. Once you have agreed where you will be flying to, tell your kids and show them the destination on a map. Also talk about how far away the place is and describe how you will be getting there, such as describing the plane journey they are going to be taking. Encourage them to find out the place themselves if they are old enough to do some research at the library or maybe find some suitable internet sites that are aimed at children and travel. Even a TV show like Dora the Explorer can help them to fuel their imagination while getting some useful information. Another great way of highlighting the diversity of nations to children and demonstrating them how things are different to where they live, is to show them the currency that they use and teach them a few examples of the local language. You can get some flash cards and books that can help your child to learn a few key phrases, which they will have a lot fun using while they are there. Showing them the currency and working out the difference in value, is a great maths lesson as well as preparing them for their trip by highlighting some fundamental differences like this. If you have travelled regularly before you become a parent, it can be easy to forget how daunting the experience can be for a child, especially if they don’t really know what is going on and what to expect. Your aim is to reassure them and help them to overcome any fears so that they become familiar with the travel process. This should help them to cope better and will hopefully ensure that the whole family enjoys a positive travel experience. Penny Dalton is a Mom who can honestly say that writing in her passion. With Summer on her mind, Penny is currently focused on writing about family holidays and adventures, sharing her own tips and tricks for parents for successful travel with toddlers as well as with teens. This entry was posted in Kids Care and tagged faces, foreign, places.